Here is a round-up of the latest organic, natural, green, gluten-free and other deals thanks to Mashup Mom. $1.50/1 Sambazon juice or smoothie. $3.00/1 Loads of Love detergent. $1.00/1 Schar gluten free product. $1.00/1 Hyland's earache drops or tablets. Mambo Sprouts added: $1.50/2 Organic Valley milk, $1.00/1 dozen Organic Valley eggs, $1.00/1 lb Organic Valley butter. $.50/1 Greek Gods yogurt (Facebook). Some new Newman's Own coupons here. $4.00/1 New Chapter Organics (Facebook). $.50/1 Plum Organics pouch (Facebook). These are $1.00 each wyb 20 at Toys R Us or Babies R Us through 7/19! $.85 off any SIX Gerber Organic Pouches. $2.00/1 Probaclac Healthy Flora Adult Probiotic or Extra-Strength Probiotic. Available exclusively at Walmart. $.50/2 Peter Rabbit Organics Pouches. $1.00/1 Kiss my Face full size olive oil bar soap. Stack with the $1.00/1 Whole Foods coupon here — it sells for about $2.99 at WF, so $.99 after both! $.75/1 Earthbound Farm organic spring mix. Cocoa Pebbles are also gluten free (or use them for a dessert, lol) — print $1.00/2 under 77477 here. Free cleaning product sample from Eco-Me (Facebook). Amazon -- as always, Amazon pricing can change quickly. Cancel subscribe & save at any time under your account. 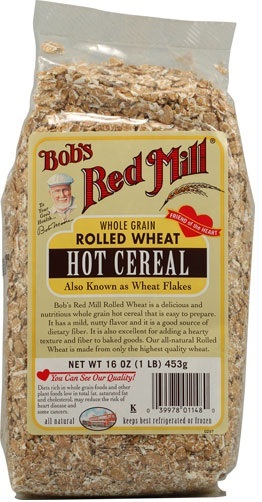 Bob's Red Mill Rice Flour Brown, 24-Ounce (Pack of 4) , $8.43 shipped with subscribe & save -- that's just $2.11 a bag! Glutino Gluten Free Pretzel Twists, 8-Ounce Bags (Pack of 12) , $34.78 shipped with subscribe & save -- just $2.90 a bag! Bob’s Red Mill Gluten Free Pizza Crust Mix, 16-Ounce Bags (Pack of 4) is currently $9.86 shipped with subscribe & save. That makes these $2.47 a bag — and each bag makes two crusts, making this $1.24 a crust. That’s not far off from the everyday price of one non-gluten free crust at Dominick’s or Trader Joe’s, although you do need to add an egg (or substitute) and olive oil. Bob’s Red Mill Gluten-Free Cornbread Mix, 20-Ounce Units (Pack of 4) is currently $9.42 shipped with subscribe & save, and has great reviews. Earth's Best Organic Sesame Street Letter of the Day Cookies, Very Vanilla, 5.3-Ounce Box (Pack of 6) , $13.83 shipped with subscribe & save. Ella's Kitchen Bananas Bananas Bananas, 2.5-Ounce (Pack of 7) , $7.07 shipped with subscribe & save. Earth's Best Organic Tots Cereal Bars, Strawberry Banana, 5.3-Ounce Boxes (Pack of 6) , $16.77 shipped with subscribe & save. Jovial Fig Fruit Filled Gluten Free Organic Cookies, 7 Oz. (Pack of 5) , $15.33 shipped with subscribe & save. San Francisco Bay Coffee Organic One Cup for Keurig K-Cup Brewers, Rainforest Blend, 80-Count , $28.05 shipped with subscribe & save -- or $.35 a K-Cup for organic coffee! Muir Glen Organic Tomato Sauce, 8-Ounce Cans (Pack of 24) , $21.01 shipped with subscribe & save, or $.88 a can. Contadina Organic Tomato Paste 12pk (6oz Cans) , $15.99 and eligible for free super saver shipping over $25.00. Check out Gluten-Free Saver, where through today only they are featuring a deal for $25 for $40 on GlutenFreely.com! Free ship at $75. $24 for 12 months of classic, vegetarian, or gluten free meal planning from the Fresh 20.